Since opening in 2015, Fat Lips has become the biggest and most famous surf shop in Siargao due to it’s high quality surf & beach products at reasonable prices. Fat Lips is committed to providing the best possible service in all the aspects of their business including the surf shop, surfboard rentals, motorbike rentals, and board repair departments. Thus, when deciding which surf school to partner with there was only choice for Fat Lips. That’s because only Kermit’s x Gwapitos Surf School can match Fat Lips dedication to providing the best possible service and facilities to our guests. Kermit’s Surf School is the oldest of it’s kind in Siargao and has been instructing students since 2011. Many of their instructors have been with them since the very beginning and it’s the Kermit’s model that many others are now trying to replicate. That’s because the Kermit’s x Gwapitos Surf School has been the go-to surf school on Siargao Island since the beginning. Currently there are around 20 instructors working for the school. Years of experience, dedicated staff, new equipment, and a professional experience from start to finish, that’s the Kermit’s Surf Resort x Gwapitos Surf School difference. *ISA – International Surf Association. The international Surf Association is the largest regulatory body in surfing and is recognized by the International Olympic Committee as the World Governing Authority for Surfing. The head instructors at Kermit’s / Gwapitos have passed the ISA Surf Instructor Training Courses which is an International level certification. The head instructors are also First Aid and CPR certified and can teach emergency first response. **SISA – Siargao Island Surfers Association. The regulatory body for surfing in Siargao. Recognized by local government and Department of Tourism as the governing body for surf in Siargao. 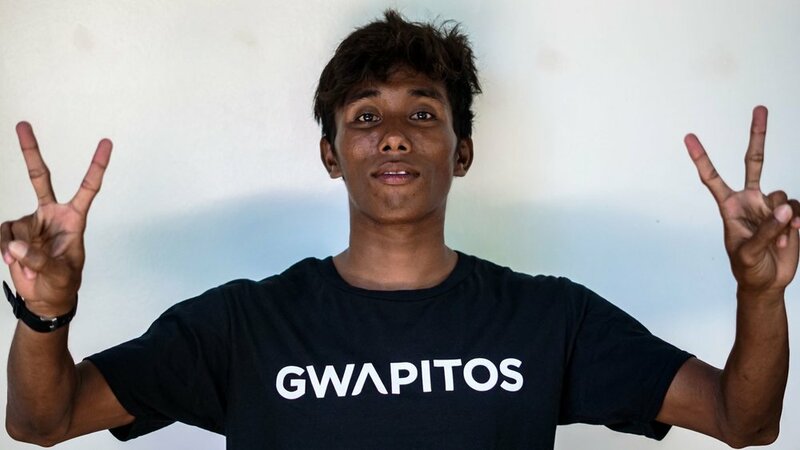 All instructors at Kermit’s have passed the SISA Surf Instructor Training Program and have government approved licences to teach surfing in Siargao.